Keanu Reeves, similar to Nicolas Cage, is defined by moments of overdramatization. My perception of Keanu is not the gravity-defying, martial arts apprentice from The Matrix trilogy. No, my allotted memory space for Keanu has captured moments like this and this. Can you blame me? Moments like these impress upon us. It’s a tattoo that we view with annoyance but, in the end, are glad we have. Perhaps it was just me, but as kids, my brother and I made movies ourselves, short goofy films that hopefully never see the light of day. When I put them in now, I cover my face in embarrassment before remembering the pride I gained producing them. They were fun and that’s what mattered at the end of the day. Anyway, it’s just hard for me to take Keanu seriously. His off-base drawl mixed with an expressionless face make it difficult for me to see him succeeding in any drama. He doesn’t have a hypnotic glance (though some would argue he looks like he’s in a trance but I digress). He doesn’t have the voice or the charisma. In general, he’s just not that good, although there is something appealing about him, an element that allows him to continue to linger in the industry. Films like Johnny Mnemonic display that element. Somewhat enthralling and somewhat disturbing to a person’s psyche, this 1995 sci-fi experiment is just enough to feel like there was something there but not enough to deem anything conclusive. It’s over the top and seemingly needless but remains something you want. All of its clear fallacies you’re willing to overlook, including Ice-T’s headdress. It’s something you have no real need for but you ask your parents to get it for you for Christmas anyway. It has some interesting enough ideas but not the story composition to carry them along or the characters to serve them together in an appealing guise or put-together narrative. It is a dish best served cold. This is cold pizza. We all love it sometimes. In an age dominated by technology, Johnny Mnemonic takes pleasure reminding us how polluted are society is by “evil” tech conglomerates, even though their message, which they’re trying to communicate seriously, gets befuddled by some overly passionate, far-reaching dialogue and blocked by Ice-T’s headdress. Very rarely will I dedicate a whole paragraph to a wardrobe choice, but Ice-T’s headdress covers such a large proportion of the screen that it’s impossible not to discuss. In terms of basic shot framing, film school graduates and most anyone who’s ever picked up an image capturing device knows that the goal of every shot is to capture a central focus. To do so, it is best to avoid obnoxiously large distractions, such as a foot tall headdress, in your shot. Therefore, I find it necessary to give a small round of applause to the costume designer that not only approved this choice but managed to convince the producers, directors, editors and Ice-T himself of this prop’s importance. A true wizard or witch, this man or woman must be. The most important part of this review comes here. Johnny Mnemonic is the premier embodiment of a comically bad movie that you can’t stop watching on Bad Movie Wednesday. It has the chicklet one-liners that must have felt livening to write on paper and felt heavenly to record. I cannot testify to the manners or general order of heaven, but I truly hope purposeful ineptitude such as this is cherished. To put it bluntly, the world is a better place because of it. It is a talent reserved for a special few and one that despite my years of film criticism, I still do not understand. Part of me hopes I never do. It might be better off not knowing. 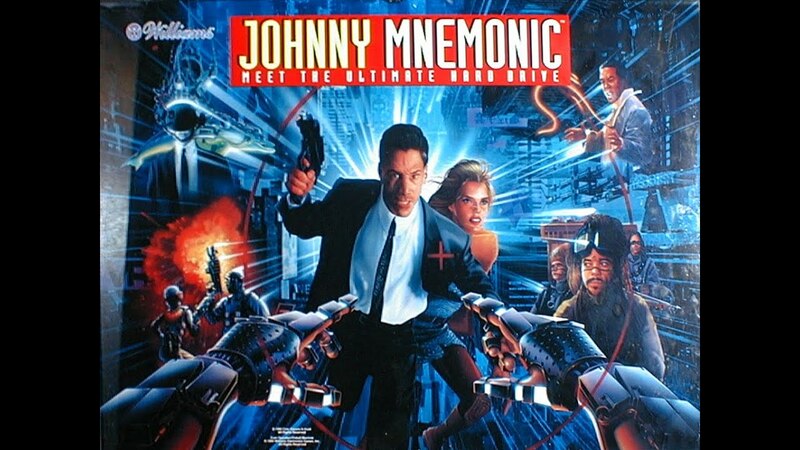 My score for Johnny Mnemonic: 60. One of my personal favorites in the fun bad movie genre, Johnny Mnemonic provides some laughs while never getting too serious for its own good.